Airbnb is taking the world by storm Either it’s from Germany to the United States, or from Greece to Chile, Airbnb is a flagbearer in any way. The San Francisco-based operation offers people to list rooms or apartments for rentals. 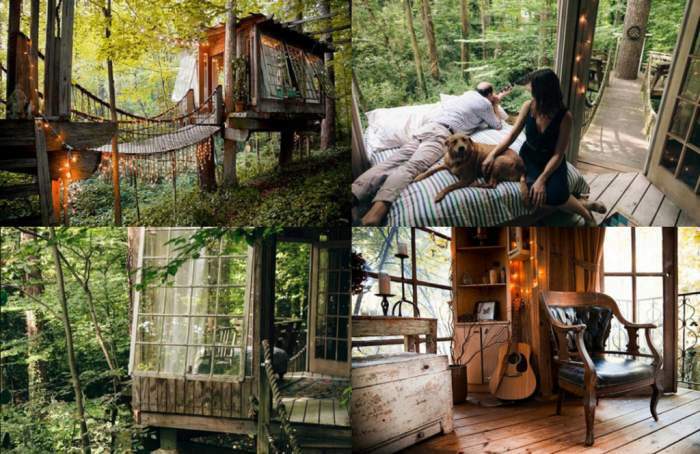 Yes, there are hostels across the world, but the serenity and coolness of these fascinating Airbnb places are something beyond your imagination. 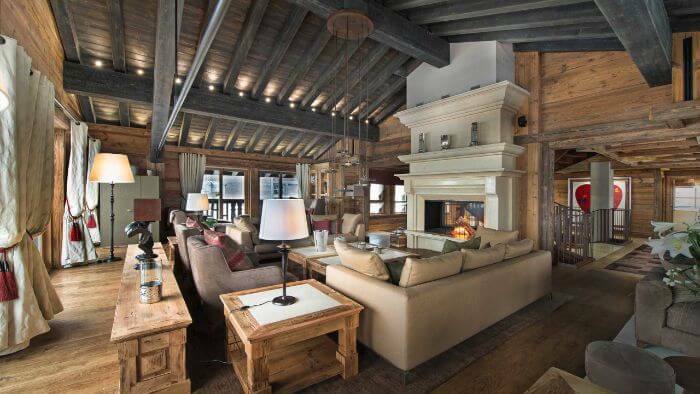 Whether it be a bamboo house of Bali, gondola cars in the Alps, or beer barrels in Germany, or island villa near Greece, the list continues to impress you. Right from the unique and bizarre architectures and moving ahead to one of the most beautiful stays, here are some of the coolest Airbnb places around the world that you must visit at least once! 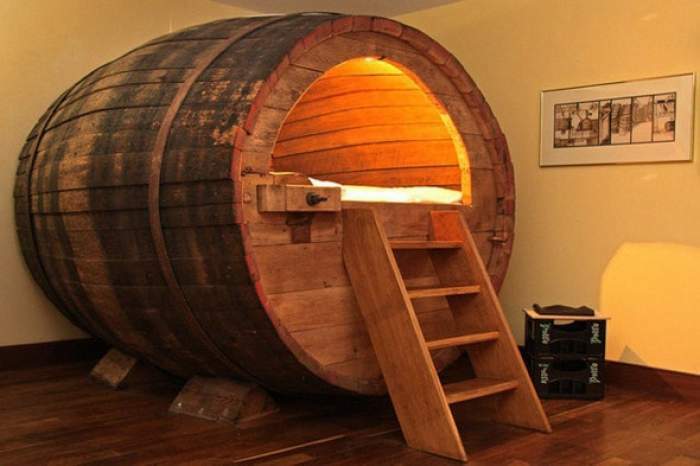 Possibly the owners of Airbnb’s most popular Beer Barrel wanted to offer more to the world’s beer capital. They perhaps thought that the Oktoberfest in Germany wasn’t enough and given the city these cylindrical wooden boxes which smell like beer. Isn’t that something extraordinary and unique? 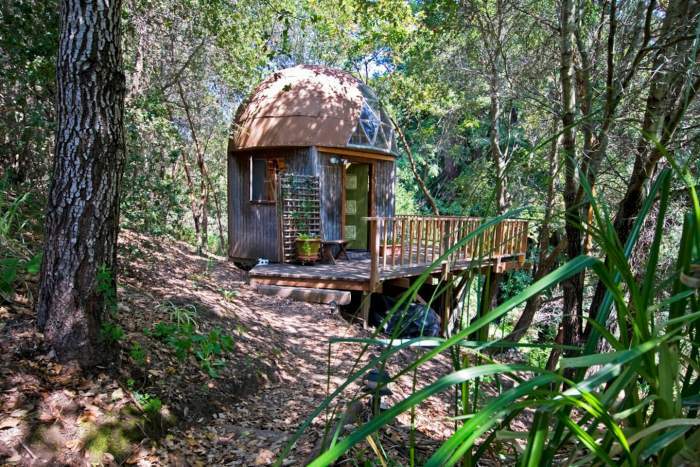 The Mushroom Dome Cabin is amongst the exclusive Airbnb places located amidst the forest. The visitors here can explore the beautiful nature, hang out on the deck, can have a walkabout in the woods, watch the hummingbirds, pet the goats, go to the nearby beach, or just stare at the lovely sky filled with stars. 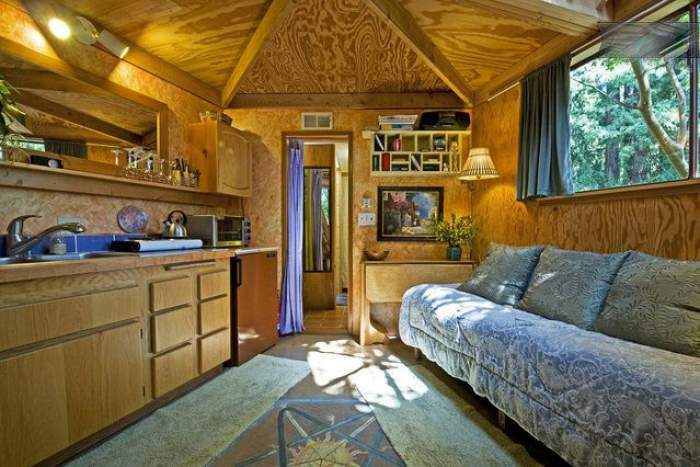 If the outsides don’t attract you much, wait until you see the awesome interiors. The most amazing part of this house is that it’s not a colony which it seems like and very much a house that exists on Earth. A bizarre, unusual, and weird look makes it out-of-the-box house. 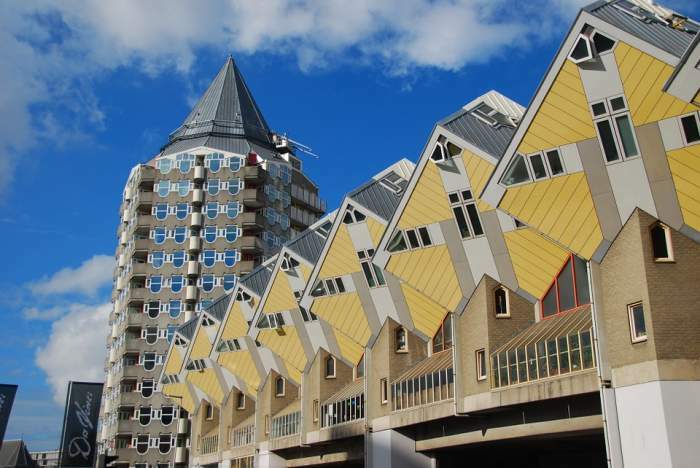 The 3-storeyed architecture is a man-made wonder having huge windows, including the ones on the top floor that gives you the opportunity to witness 360° views of the Dutch city. 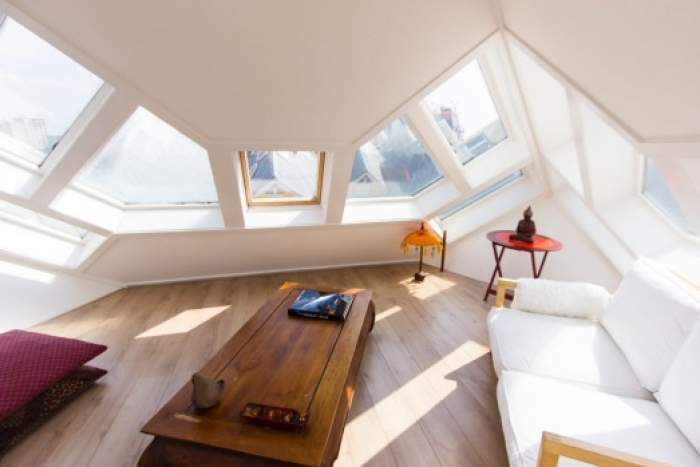 The prime reason to design Cube houses around the world is to optimize the space. The design represents a village within a city. Hard to believe where Airbnb gets these ideas from that are totally scary but at the same time pretty cool they are! 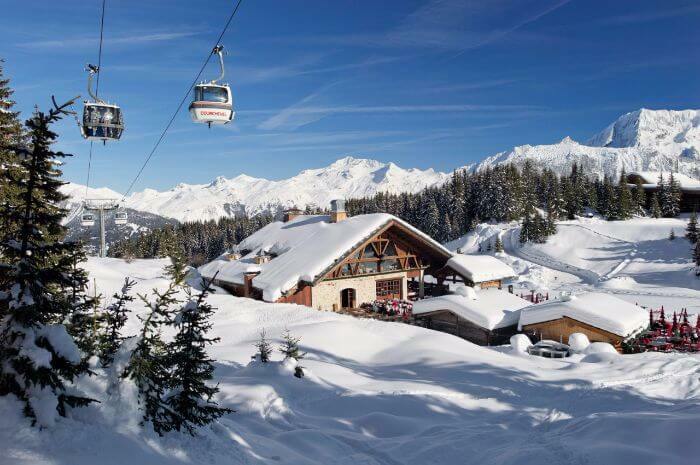 One of the brand-new addition in the coolest Airbnb places is this Courchevel ski resort in France that offers its guests a chance to spend the night in one of their cable cars at an altitude of 2,738 meters above the sea level. Gondola cable car that has been converted into a night stay option is perfect for wonderful views of the Alps unless you do not go down or ask to go to Loo. Because this artistry comes without a washroom. Regrettably! So! The architecture is not as unique or out-of-the-ordinary as the ones mentioned above. 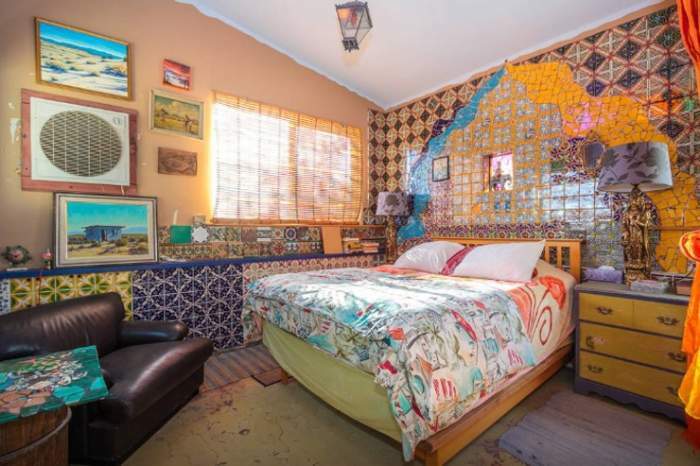 But what makes this place stand in the list of amazing Airbnb places is the mosaic made of Mexican tile, smalti, handmade Perry Hoffman ceramics, tile & fused glass, found desert tiles, stained glass, found objects, and ceramic Bric-Brac. 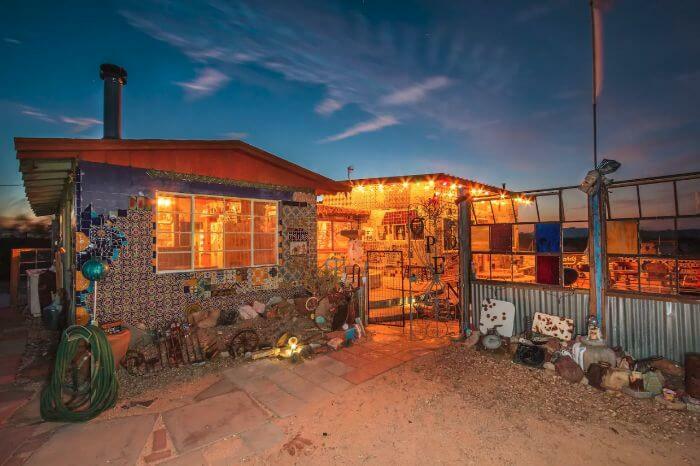 The Tile House lands in the surroundings of a vast and open desert. Just comfort yourself in the outdoor hot tub under the glittering skies full of countless stars and enjoy a perfect holiday with your family or special one in the aloofness. 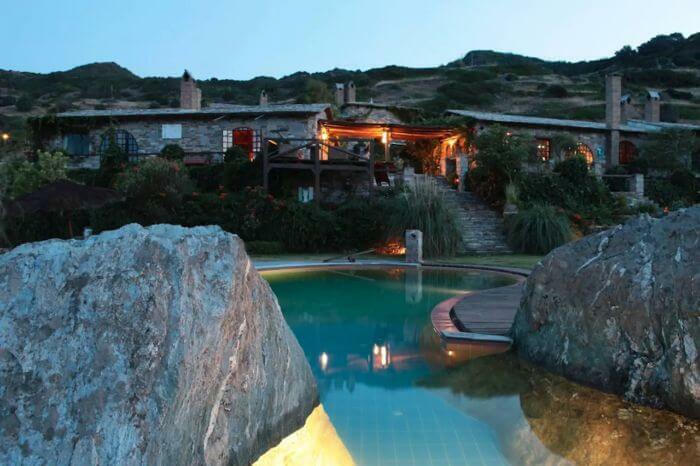 Advice: If possible, book your stay here in August or November to see the meteor showers at night. There are only 7 astronomical hotels in the world. 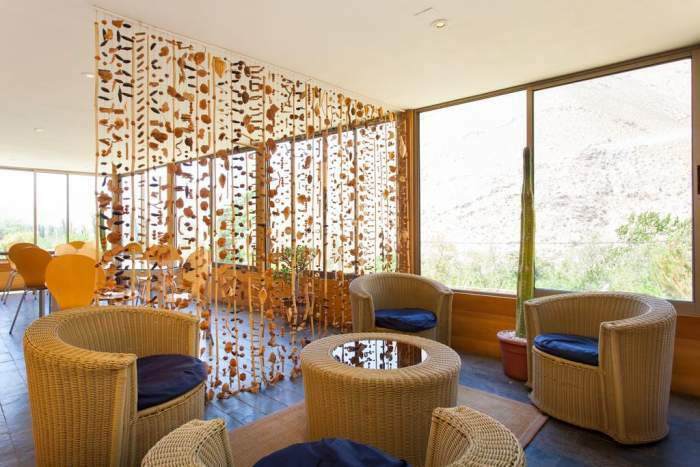 And this solo astronomic hotel resting in the Southern Hemisphere makes a perfect place in the list of the top most unusual Airbnbs rentals in the world. The unique fusion of the geodesic domes and the luxurious feel of stargazing from the bed sets is the classic part that stands rarely! 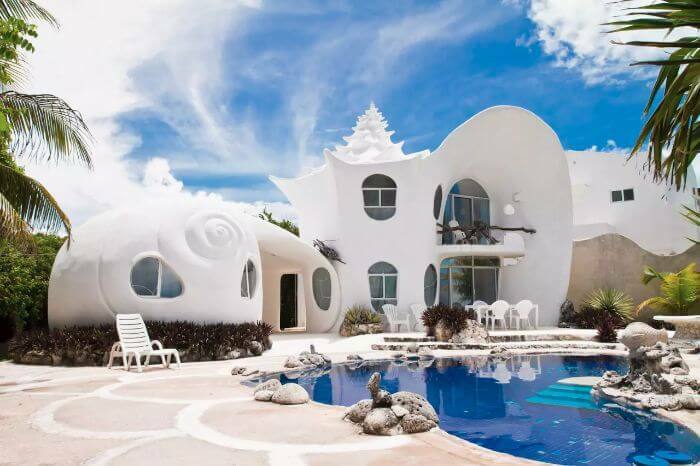 This unconventional, weird Disney-style home on Isla Mujeres is one of the most beautiful Caribbean islands. All seems like a perfect fairytale for a night stay. 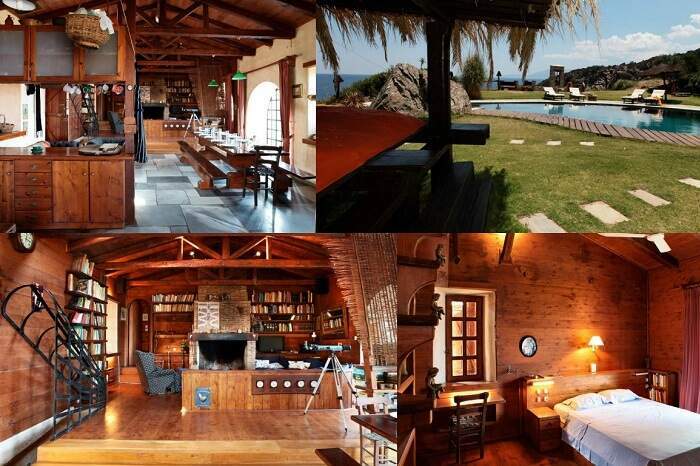 If you’re looking for a 5-star place with less crowded pools and lobby area then this dreamy house is apt. Its private pool, BBQ, and the numberless other amenities make it an exceptional hideout and one of the most amazing Airbnb places. 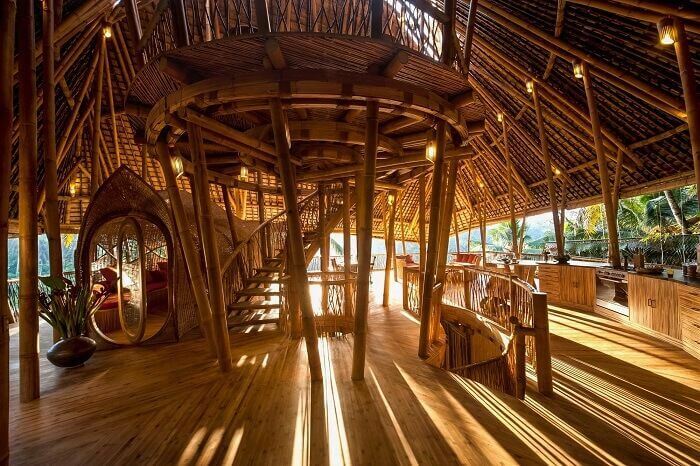 Surely one of the coolest Airbnb places, the Sunrise ‘All-Bamboo’ house in Bali bids you with a tranquil ambiance that allows the guests to sit back, relax, and have the pleasure seeing this incredible piece of art. 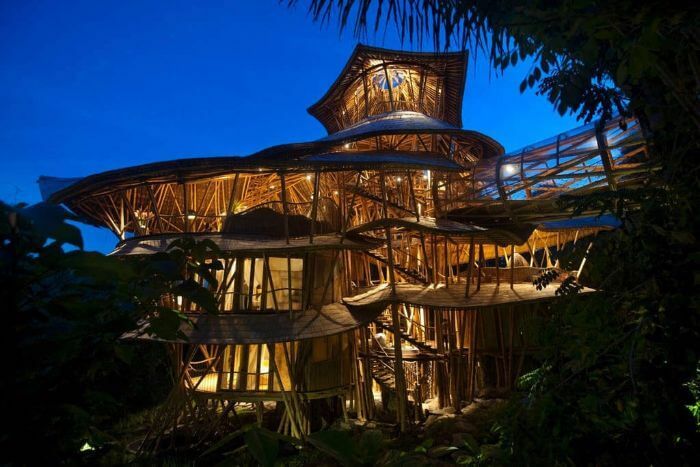 The luxurious bamboo villas with different and cool blonde roofs are nestled on the edge of the holy Ayung River gorge. This isn’t just a hotel room, but your own private village. It’s extensive, comfortable, luxurious, elegant, and exclusive. The place is all brimmed with grand swimming pool, large terrace with uninterrupted views of the Aegean island, 2 al fresco dining areas, BBQ, tennis & basketball courts, the villa has everything you desire for! Oops! Did we forget to mention the lavish interiors? Also, The villa welcomes you with the dual facilities of out-of-the-way and is located nearby the International Airport. For those who can afford it, it’s the perfect place for a destination wedding or a romantic honeymoon. So, a honeymoon in Greece does sound great? 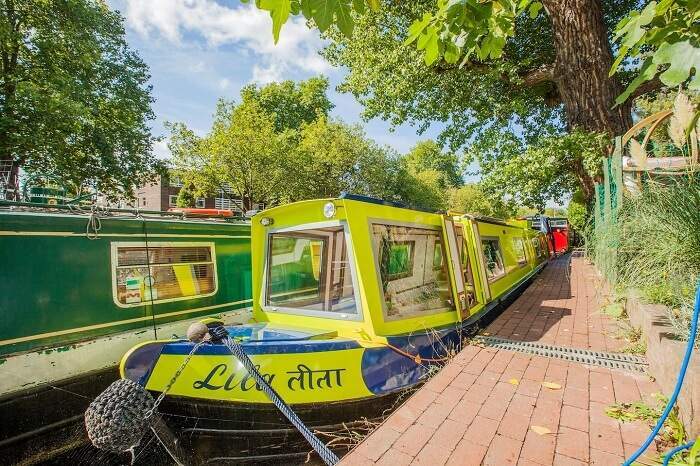 The narrow canal boathouse is the next addition in our list of the best Airbnb places. 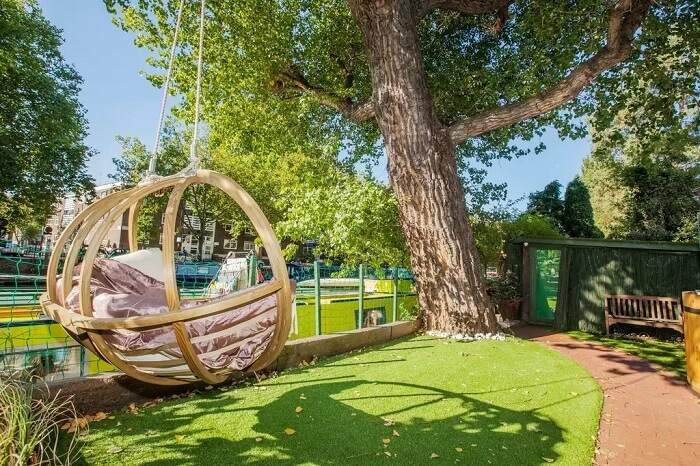 This fantastic canal-cultured water-garden oasis lies in the heart of the modern-day London. The stay here also offers a private designer garden linked to the dock where the boat is permanently docked. Wow! 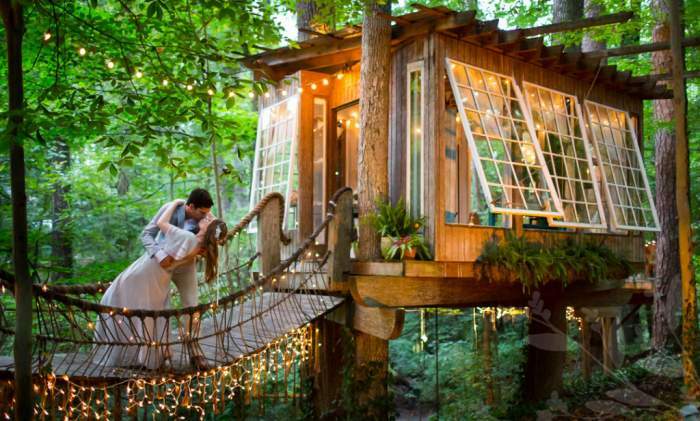 It feels like just coming out of a charming fairytale, this lovely treehouse is located a few minutes away from downtown Atlanta. It’s jam-packed with antique furnishings, artifacts, a balcony, hammock, and string lights for days. 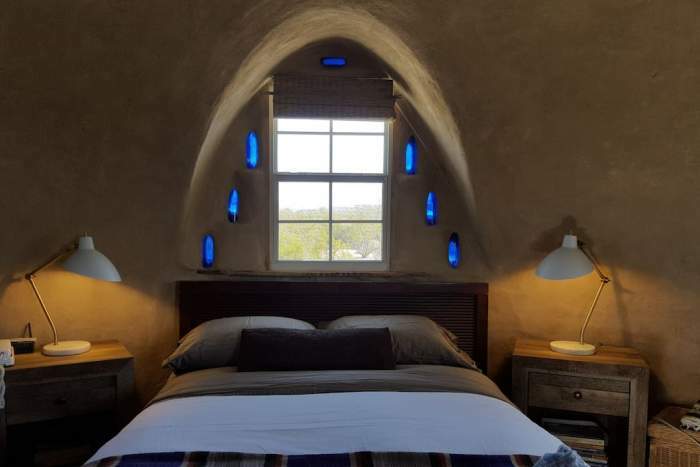 Go completely off-the-grid in this solar-powered Adobe Dome near Big Bend National Park. This clay structure comprises of a kitchen and bed, and the modest solar power system will power the phones and lights. Spoiler: Sunset and sunrise are something out-of-the-park and hence list in the most coolest Airbnb places in the world.